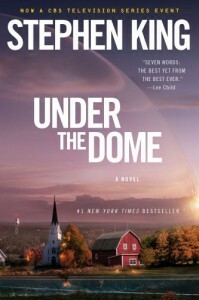 Under the Dome is exactly as expected - wildly imaginative ideas, a sprawling cast of characters, a somewhat clumsy attempt at allegory and clear signs of a writer struggling to break out of the confines of his literary talents. King's fantastical and crazy imagination far outstrips his ability to pluck the ideas from his head and convey them as effectively on the page as you would hope, but luckily for the reader he strikes just about the right balance to keep you ploughing on to find out just what the hell is going on. Under the Dome moves at a frenetic pace, and it is admirable that King manages to define each character well enough to stop them merging into an indistinct, blurry mess, despite only the occasional nod to depth in each case. The two main characters both get an 'event of significance' in their back story that is used as a device later on in what can only be described as a disappointingly rushed ending - perhaps made even more so by the fact that this is nudging 900 pages and really shouldn't have needed more room to breathe - but the rest of the cast feel underdeveloped. Understandable though, given the almost frighteningly large number of characters. Despite that somehow King manages to make you care about what happens to them all, at least if they are on the 'good' side, as he uses his trusted mechanic of 'if you're not good you're evil' to good effect again here. You feel there are nods to grander themes such as Bush era America, fears over dwindling resources and ecological issues, and even perhaps the Third Reich, but to over-analyse is, in my opinion to do this book a disservice as the closer you look the more 'hokey' it becomes. Take it for what it is - a typical Stephen King page turner - and enjoy it, without worrying too much about what it could have been, or perhaps what you want it to be. And whatever you do, don't get your hopes up for a satisfying conclusion, because there isn't one (I believe they have changed it for the TV series, which suggests I am not alone in that view). It would be easy to feel angry, or even jilted when the curtain falls having invested so much in the reading time and the characters, but I preferred to think back to the good times I'd had rooting for all-American hero Colonel Dale Barbara, plucky journo Julia Shumway, the whizkids and even the distinctly one-dimensional Romeo Burpee as they battled mean old Big Jim Rennie and his sick and twisted son, Junior who toe the line between 'menacing' and 'pantomime' at times, thankfully without ever fully falling into the ridiculous. 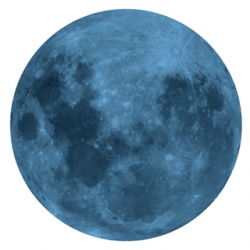 Worth a read, but only if you go into it with your eyes open to its limitations.